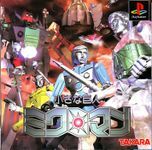 A game based on Takara's classic mechanical soldier toy "Microman" from 1974. In the game, the player can choose which microman to control, and two players can cooperate to clear the screen of enemies and advance to stage after stage. The game is complete with videos of classic Microman commercials and other fan material.